Project Management Plan: You must document how you implement your project and the risks, issues, and meeting minutes, and also decisions made along the way. No matter what methodology you select for your project methodology, Waterfall or Agile, documentation is a must. Project Communication: Document your communication and share it with your team. Make sure your documentation is tailored to different audience. Project activities, such as scheduled meetings, project changes, and project communication documents, should be kept current and updated. Anyone should be able to pick up your project and quickly know what is happening. Project Reviews: Many organizations perform annual reviews. In fact, some organizations have phase or stage gates, which means project review boards assess your project progress to determine whether your project is ready to proceed. Generally speaking, they will request to review your project documentation. With what have been said, documentation is something you should not ignore in your project management. It is the same with project management tools. Jira, a project management software, is the product of Atlassian. If you want to do knowledge management in Jira, you have to integrate Confluence which is also a product of Atlassian. 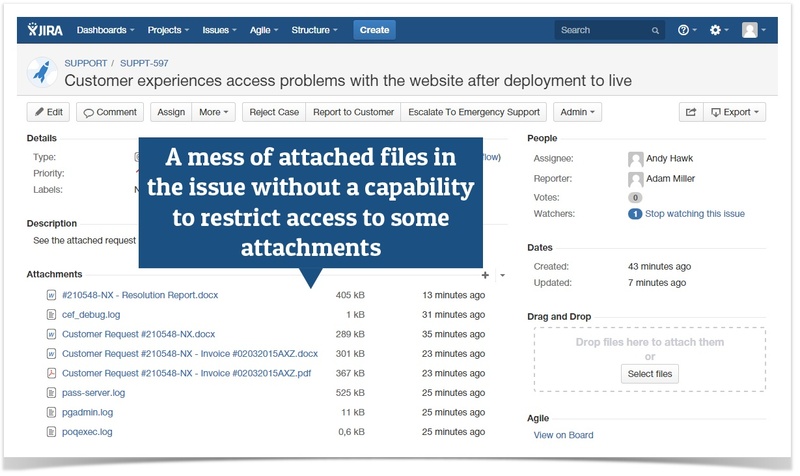 In Jira, you can attach files to stories and tag a user to take care of your documents. Usually the attachments will be listed in the same page and not organized. It could be a little messy. Therefore, documentation is not a strong point of Jira, so you can install Confluence to help with your documentation. The notification in Confluence is awesome that any change can be sent to the user tagged. However, it is not so great for comments and reviews as the conversation over it could be lengthy. Like ZenTao , LibreOffice is open source. The LibreOffice comprises programs for word processing, the creation and editing of spreadsheets, slideshows, diagrams and drawings, working with databases, and composing mathematical formulae. Besides, ZenTao itself has a very powerful document and document library management. You can create document library for products and projects, so documents will be in good order. You can aslo create customized libraries. For files, you can check its history, such as who did what to the file. Personally, I like the idea of having a document library in a tool. It is very handy and convenient to organize your document. If you would like to try Document Management in ZenTao, click HERE or contact us at renee@cnezsoft.com to get a up to 6-month free trial.